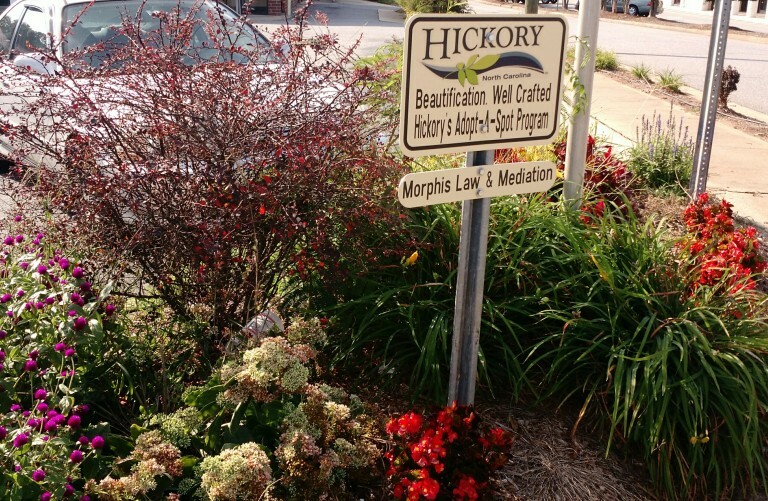 Morphis Law & Mediation has adopted a spot along US Highway 127 North in front of Udderly Delicious and Subway to support Hickory’s community initiative to beautify city spaces. The City of Hickory welcomes individuals, businesses and organizations to adopt a public space and help beautify our City. Morphis Law & Mediation is proud to be an Adopt-A-Spot sponsor!